Character models deep in the Uncanny Valley? Check. Hundreds of controls to get your head around? Check. Is this game fun? Check, check, check! 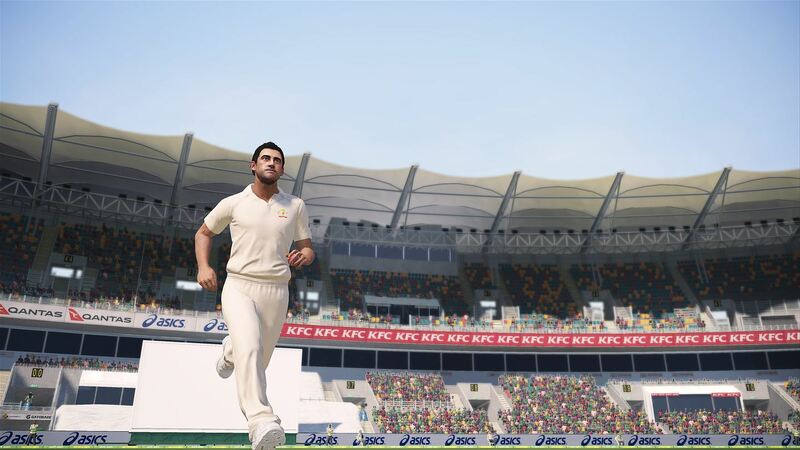 Ashes Cricket has arrived on Xbox One to celebrate one of sport’s greatest ever rivalries between England and Australia, where they compete for an urn 6 inches tall, but more importantly, bragging rights for the next two years. The game embodies the test matches, one dayers and Twenty20 matches of both the Men’s and Women’s Ashes, and it is down to you to lead your team to victory. 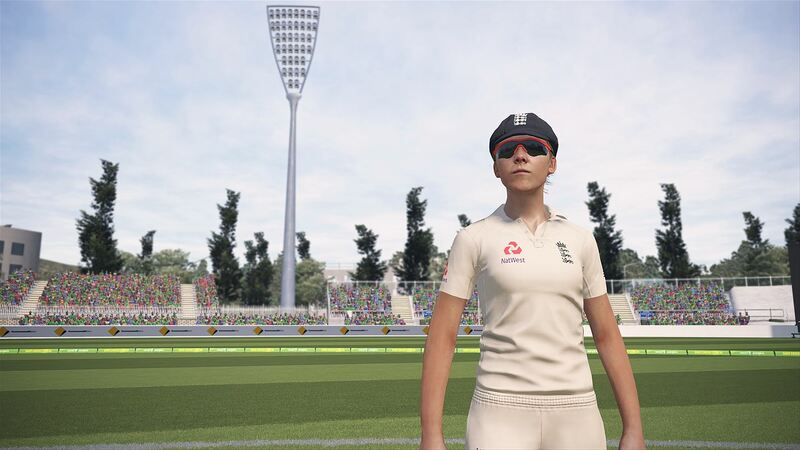 Digital cricket can be a daunting prospect but thankfully there is a full tutorial to sink your teeth into, and the one included in Ashes Cricket focuses on the three main areas of cricketing: Batting, bowling and fielding. It bombards you like an Aussie pace bowler with information and button prompts that are unlikely to sink in at first. What is there is useful but, for me – whose only previous cricketing experiences were found within the Brian Lara series on the original PlayStation – I felt a bit overloaded initially. Cricketing veterans may have a better understanding, but newbies may feel overwhelmed at first. But don’t let this put you off. Unsurprisingly, Ashes mode is front and centre in the main menu, and likely to be where most people will start. 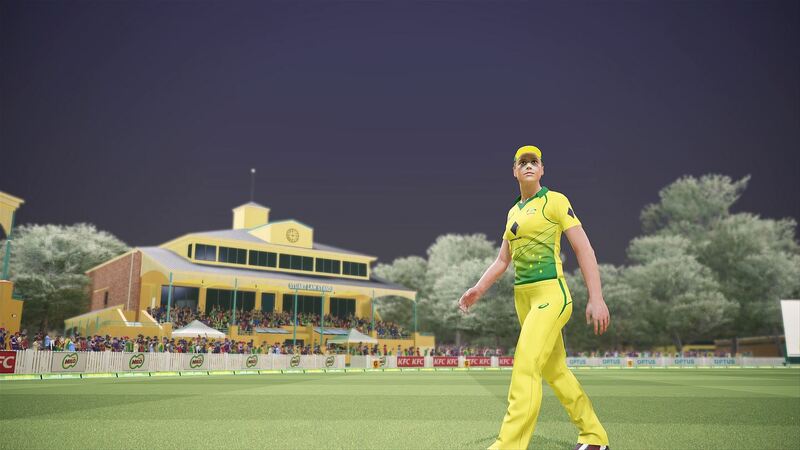 This mode includes the full schedule for both the Men’s and Women’s Ashes series’, and decent mock-ups of the stadiums in Australia. When watching the first test at The GABBA recently though I was amazed it had a pool and pool bar in one of the stands – sadly this is not included in this release. The players are licensed as well so their respective likenesses are included, but they are not flattering. Most look better when they are wearing their helmet to bat, hiding most of the face. Here you can choose the starting XI for either side, import a range of items you have created yourself, download additions from the Cricket Academy, or tinker with the games’ physics to your liking. This will certainly help non-cricketing fans enjoy the game more as even a defensive shot can get whacked out for six runs! Away from Ashes mode and there is still tons to enjoy. Many different cricketing leagues from around the world are featured, and you can even set up your own custom tournaments. 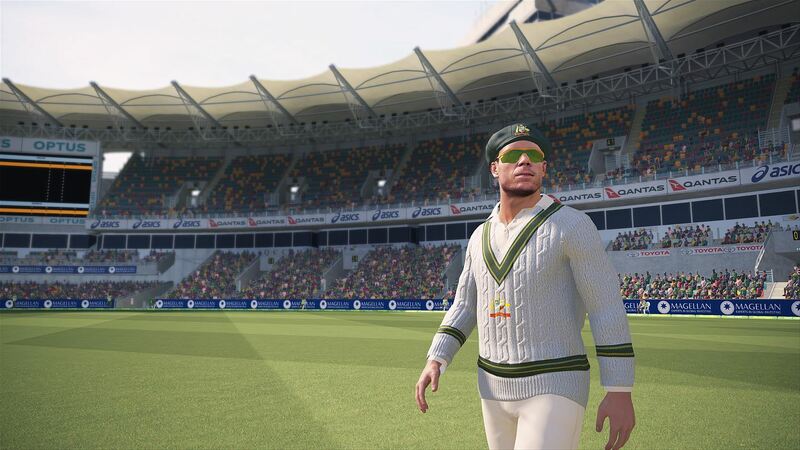 There is also a Career mode where you can play as a chosen professional cricketer, or create your own and rise through the ranks as a rookie on your selected team, right through to being picked for your National side. If all this still wasn’t enough for you then there are local 4-player opportunities, and online matches that again can be customised anyway you like from a full test to a quick 5-over match. Once you finally manage to find a suitable game type and mode, have got clued up on all the tutorials and selected to team to take to victory, it is time for the all-important coin toss. Once you discover if you are batting or bowling first, I would recommend then doing the related tutorials again, as you can then put them straight into practice and figure things out a bit easier. Batting and bowling by default are presented in a third person perspective. On the easier difficulties for batting, the game assists you with making the correct movements towards the ball so your only real concern is choosing the correct face button depending on what the bowler throws at you. The same applies for easier difficulty on bowling with different bowling lengths associated to the face buttons. Along with fielding, these three disciplines have exclusive difficulty levels, which is useful if you are great at one and terrible at another. How these button inputs translate to on-screen actions though leave a lot to be desired. The motion capture that has gone on throughout the development is there to an extent, but it feels janky at best. Coupled with the frequent and bizarre physics of some of the shots being played and it’s clear that Ashes Cricket needs a bit more work. Previous games from Big Ant Studios have faced similar criticism over the years, but, in their defence, they are seemingly a studio willing to fine-tune after a release. When batting, an indicator on the crease will show the rough location the bowler is bowling to, and you use this to decide which shot to play. However, if it’s a straight ball, the indicator is hidden behind your batting player, so you don’t know where it is pitching. Whenever this happens, I default to a defensive shot but on higher difficulties this happens more frequently and there needs to be a way to show the marker regardless of where the ball is pitching. These bugs and glitches are also audible in the audio. A lot of the voice clips are cut and pasted together with the pitch of Michael Slater’s commentary all over the place and it sounds hilariously bad. ‘Slats’ – as he is affectionately referred to in this game – also has a nasty habit of repeating the score twice at the end of every over. All these glitches though add to the overall charm of a game that clearly doesn’t have the budget of other major sports titles but does have twice the heart, and this is visible with the little touches included in the game: The crowd sizes are comparable to how they would be for a real-life match – Test matches have 50,000+ full houses, whilst my created player started out in front of a crowd of around 20 – and I think it’s fantastic to include the full Women’s Ashes series in as well. Ashes Cricket has 32 achievements that require winning The Ashes as both sides across both the men’s and women’s game, performing several batting and bowling milestones in the process, some specific to certain players such as getting a wicket with the third ball of a Nathan Lyon over, or scoring a century with Alastair Cook. The latter though is currently glitched. Away from the Ashes, there are also achievements for playing five games online and setting up limited over matches in Competition mode. It would be hard to recommend this game to someone who isn’t a die-hard cricket fan because if they aren’t interested in the real thing, then there isn’t anything here to persuade them otherwise. However, for a die-hard fan, this is a pleasantly surprising game that reaches far deeper than the name suggests. 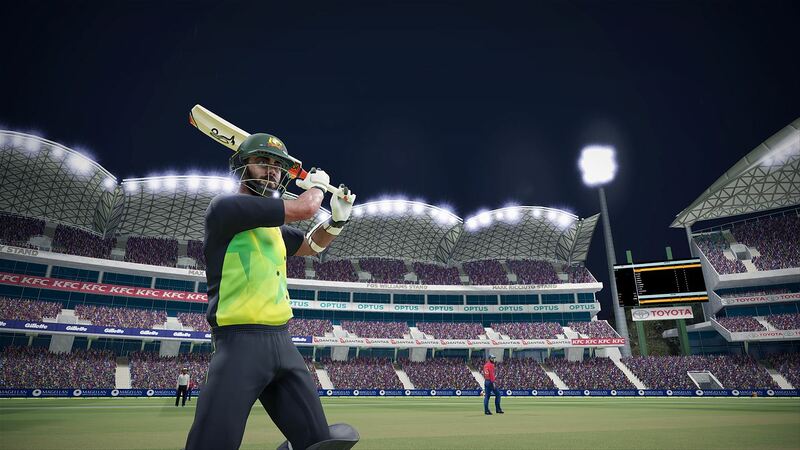 If you can get over the numerous yet humorous glitches and expect them to be patched out later, then this is a decent cricket simulator with plenty to do long after the current Ashes series finishes down under. Previous articleDestiny 2: The Curse of Osiris – Is it a blessing or a curse? Next articleConan Exiles full release date and Collector’s Edition revealed!